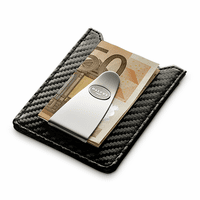 When you want to travel light, go out for dinner or on a date, the Nocturna card holder wallet and money clip is the way to go! 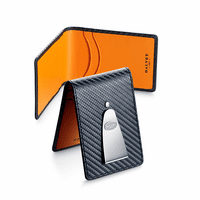 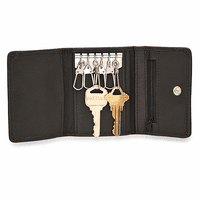 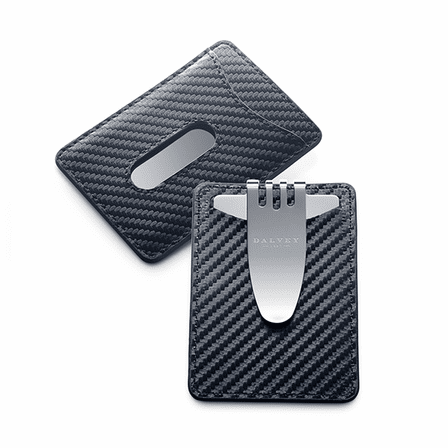 It's lightweight textured black carbon fiber, known for long-lasting beauty, and is designed with a single credit card slot and a money clip that holds up to 15 folded bills. 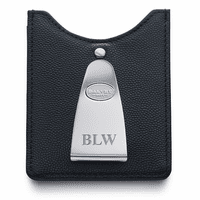 The stainless steel money clip has the Dalvey logo, and can be custom engraved with a name or initials for free! Your wallet comes packaged in a Dalvey gift box, and ships out within one business day!